This Wheatgrass Plant, as the name implies, is a grass from the family of wheat. It is a nutrient-rich type of grass prepared from the young shoots of the common wheat plant, Triticum aestivum (subspecies of the family Poaceae). It is available commercially as a powder concentrate, fresh produce, frozen juice, juice bars and tablets. It is also available as spray, lotions, cream or liquid herbal supplement. This is often added to teas or smoothies, or for juicing. Just like any other plants, wheatgrass juice or wheatgrass powder has the nutritional value that contains vitamins, enzymes, iron, chlorophyll, amino acids, phytonutrients, antioxidants and minerals. Several claims about health benefits of wheatgrass have been made ranging from boosting immunity to prevent getting sick to having miraculous curative properties. Researchers mentioned that drink two ounces of wheatgrass has the nutritional equivalent of five pounds of raw organic vegetables. They said that wheatgrass juice has doubled the amount of Vitamin A as compared with carrots and more Vitamin C than oranges. 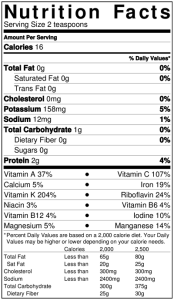 It also contains B complex (except B12) that is essential for cell metabolism. Not only that it contains a broad spectrum of vitamins, it also contains calcium, phosphorus, magnesium, sodium, potassium and proteins which supply all the essential amino acids required for the structure, function, and regulation of the body’s tissues and organs. What is wheatgrass good for? Is wheatgrass good for you? Then let the health benefits of wheatgrass decide for you. The benefits of wheatgrass is mainly provides supplemental nutrition and kills harmful bacteria in your digestive system and flushes out your body waste. Some wheatgrass medical benefits use it as a treatment for anemia, skin infections, cancer, diabetes, constipation, and joint pain. What are the health benefits of wheatgrass? Wheatgrass contains beneficial enzymes making it a powerful detoxifier, especially of the liver and blood, which protects us against carcinogens and helps our body in neutralizing toxins and environmental pollutants that why it can be a powerful tool in weight loss and for the skin. In addition to flooding our system with therapeutic dosages of vitamins, minerals, antioxidants, and enzymes, wheatgrass is particularly high in chlorophyll, which is the product of sunlight and therefore chlorophyll is also known as the ‘life-blood’ of the plants. Chlorophyll also carries high levels of oxygen. This phytonutrient is what our cells need to heal and assist the body to restore abnormalities. 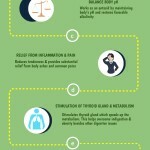 These benefits, some, though few, have been scientifically proven. However, wheatgrass juice or powder is not a miracle cure and should not substitute a healthy balanced diet or regular medical cure.But used in moderation and sensibly, this may add interest to your health. 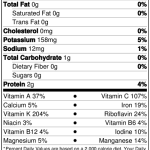 Also, since it is extracted before the wheat seeds begin to form (wheat sprouts), so wheatgrass is gluten free. Most of the time there are almost no problem in drinking wheatgrass when pregnancy occurs. One of the most recommend brand to drink wheatgrass shot during pregnancy is Dr Wheatgrass. Notice in there description they are confident enough to proclaim that drinking there wheatgrass shot during pregancy is safe! Generally, taking wheatgrass is considered safe and no major side effects in drinking wheatgrass. However, hives or swelling of the throat, headaches, nausea are some common side effects of wheatgrass. 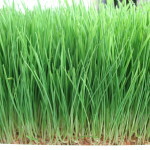 Since wheatgrass plant is usually grown in soil, water or consumed raw, it can also be contaminated by bacteria or mold. If you have allergy to wheat or grass, or celiac disease, consult with your doctor first before using wheatgrass juice or wheatgrass powder. How to make wheat grass? While wheatgrass is readily available, it is far less expensive to grow your own. Wheatgrass tastes bitter and exposing wheatgrass under direct sunlight will make it more bitter. Expose the grass only to indirect sunlight and harvest it right at the jointing stage when it is at its sweetest. One of the most common complications of growing wheat grass is mold contamination. This is due to tightly bound roots in moist environment which typically grows at the bottom of the soil. Tips on limiting mold contamination are reducing the quantity of seed so the growth is less dense and keeping humidity low to avoid too much moisture. To grow wheatgrass indoors, you first need to buy organic wheatgrass seeds from a reputable source to make sure the seeds have not been treated with pesticides and will grow into healthy, vibrant grass. Rinse the 2 cups of seeds in cool, clean, running water using a strainer or a colander with very small holes. Drain well and put them in a bowl. Pour cold water about 3 times as much water as you have seeds into the bowl of seeds. Filtered water is more preferable. Cover the bowl with a plastic wrap or a lid and leave it overnight or for about 10 hours. Drain the overnight water and replace it with the same amount of cold filtered water and let it sit for another 10 hours. Repeat the step for the last time on the third day, completing three long soaks. These steps initiate germination. After the third soaking, the seeds will have sprouted small roots meaning they are ready for planting. Prepare a 16″ x 16″ tray and line it with chemical-free paper towels. This prevents the wheatgrass roots from growing through the holes on the bottom of the tray. Put two-inch layer of pre-moistened organic compost or potting soil free of chemicals or pesticides in the seed tray. Spread the seeds evenly across the top of the compost or potting soil by lightly pressing the seeds into the soil but not completely burying them. Water the seeds lightly. Make sure each seed gets a sprinkle. Then cover the tray with a few moistened sheets of newspaper to protect the seedlings. Water the seeds everyday. It is important to keep the seeds moist but not completely drowning them. Lift the newspaper and water them thoroughly in the morning. Use water-filled spray bottle to lightly mist the soil at night to prevent the seeds from drying out overnight. Spray the newspaper too. On the fifth day, remove the newspaper. Continue watering the plant once a day. Place the plant in partial sunlight. Direct exposure to sun will damage the grass. Splitting is when you see a second blade of grass growing out of the first shoot. When splitting is observed, the grass is ready for harvest. This is usually seen on the 9th or 10th day. Using a scissors, cut the wheatgrass above the root. Harvested wheatgrass is ready to be juiced or can be kept in the refrigerator for about a week, but it provides more nutrition when freshly harvest. Keep watering the fresh wheatgrass to produce a second crop. Harvest them once mature. Empty the seed tray and prepare it for another batch of seedlings. If you wish to learn from experts on how to grow wheatgrass at home, this video is for you! Some people may wonder how to eat wheatgrass, the answer is people normally don’t eat it but to extract the juice then drink it. Wonder how to juice wheatgrass? Below are the step by step instruction to help you make your wheatgrass juicer at home. Before juicing the wheatgrass, we must clean the wheatgrass lightly in running water to wash away any debris or dust. Place the wheatgrass in wheatgrass juicer with 150 ml of water. Do not use regular juicer since wheatgrass can clog and damage them. Blender is an alternative for those who do not have wheatgrass juicers. Once wheatgrass is completely blended, slightly pour the blended wheatgrass into the strainer bag to separate the solids. Lightly squeeze the strainer to get the remaining juice. Enjoy your wheatgrass juice while fresh. Where can I buy organic wheatgrass, wheatgrass seed, juicer, powder and etc are the common problem for every people who want to start drinking, planting or etc your wheatgrass. Below are some of the trusted supplier where you can buy wheatgrass related online! Take your time to check what wheatgrass material you may need for your 1st step towards it. Having the right wheatgrass seed is very important for growing a healthy wheatgrass plant so I would strongly recommend to buy organic wheatgrass seeds that are certified non GMO. 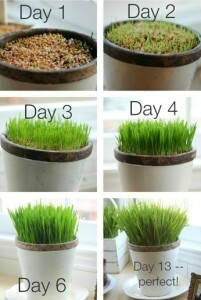 Getting tired of growing and waiting for your wheatgrass? Then this package maybe for you, just choose the best organic wheatgrass powder that suites you then your ready to drink! Interested in drinking high concentrations of chlorophyll that has 25% more antioxidant and 100% Safe for children, elderly and during pregnancy then choose wheatgrass shot! Some people seems to be pretty busy, they can’t even afford to drink it. 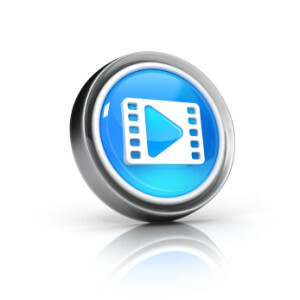 I recommend you to take the tablet just like taking your vitamins and supplement using tablet! Wheatgrass Juicer is one of the most important tool to extract the wheatgrass juice. Below are some of the best wheatgrass juicer that are tested. There basically 2 type of wheatgrass machine ~ the manual and the electric, just feel free what more comfortable to you. Manual wheatgrass juicer, as in the description it’s manual but it’s a lot cheaper that the electric one. For people who just plan to start better use this. Electric wheatgrass juicer is used for extracting the wheatgrass juice automatically, these juicer are not limited in wheatgras only, so it’s simply a good investment to have an electric wheatgrass juicer. One of the most buy and top choice of every people who plan to buy an electric juicer for extracting wheatgrass juice. Knowing where to purchase wheatgrass equipment is very important and time saver. Remember time is gold! For people who doesn’t even know where to start, then this package maybe suitable for you an all in one starter wheatgrass kit for you! 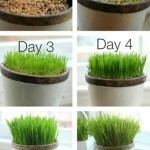 Need to maximaze your space in growing wheatgrass? Then choice the right wheatgrass tray for youself. 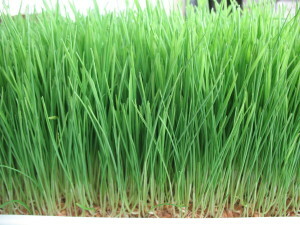 Wheatgrass is growing and growing more popular, that why more product will be made from wheatgrass. Because of the wonderful effect of wheatgrass, people now taking advantage of it, people don’t just drink it anymore but also use it for beauty product and to benefits the skin! Need to learn more about wheatgrass? Then these wheatgrass books will certianly help you boost your knowledge about this wonderful plant called wheatgrass.